Accessing and customizing elements can be performed either at design time, or at run time. Before proceeding with this topic, it is recommended to get familiar with the visual structure of the RadCheckedDropDownList. You can access and modify the style for different elements in RadCheckedDropDownList by using the Element hierarchy editor. 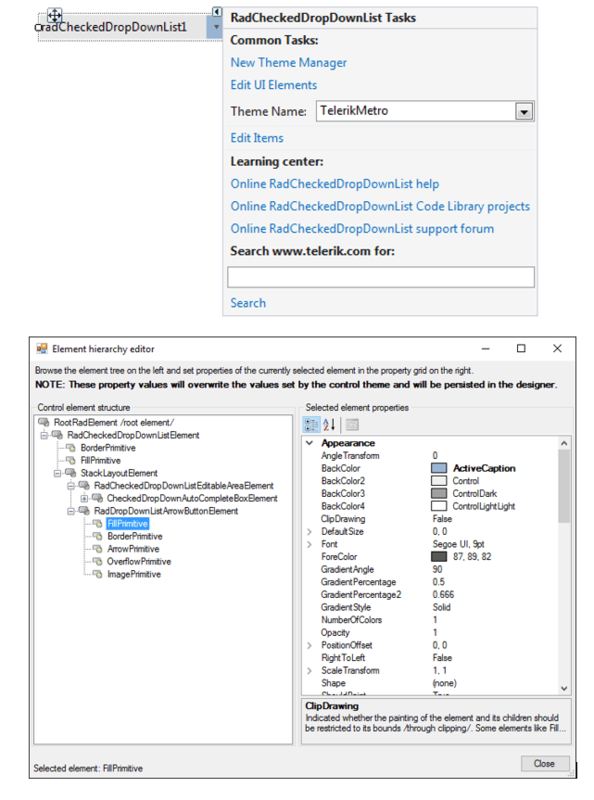 In order to access the Element hierarchy editor select RadCheckedDropDownList and click the small arrow on the top right position in order to open the Smart Tag. Then, click the Edit UI Elements.